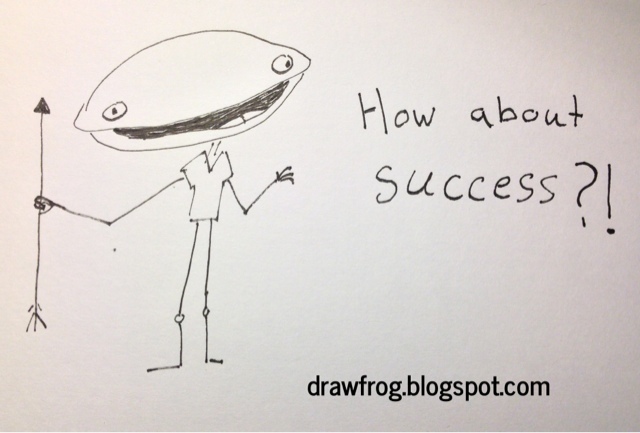 February 07, 2013 by Tyler Twombly in "comic", "comical", "daily frog", "drawing", "frog", "funny", "illustration", "part 2"
I have come to the realization that Draw Frog must be updated daily and the only way for me to do this successfully is if I get real simple like. What I mean is, with my busy schedule being a teacher and my other special projects I have to make posting daily an achievable goal. I'm getting back to the heart of what the frogs are all about--what they began as--which is simple line drawing. Enjoy. This one is part 2 of 2. "comic", "comical", "daily frog", "drawing", "frog", "funny", "illustration", "part 2"